WP_Query Object ( [query] => Array ( [post_type] => post [post_status] => publish [paged] => 2 ) [query_vars] => Array ( [post_type] => post [post_status] => publish [paged] => 2 [error] => [m] => [p] => 0 [post_parent] => [subpost] => [subpost_id] => [attachment] => [attachment_id] => 0 [name] => [static] => [pagename] => [page_id] => 0 [second] => [minute] => [hour] => [day] => 0 [monthnum] => 0 [year] => 0 [w] => 0 [category_name] => [tag] => [cat] => [tag_id] => [author] => [author_name] => [feed] => [tb] => [meta_key] => [meta_value] => [preview] => [s] => [sentence] => [title] => [fields] => [menu_order] => [embed] => [category__in] => Array ( ) [category__not_in] => Array ( ) [category__and] => Array ( ) [post__in] => Array ( ) [post__not_in] => Array ( ) [post_name__in] => Array ( ) [tag__in] => Array ( ) [tag__not_in] => Array ( ) [tag__and] => Array ( ) [tag_slug__in] => Array ( ) [tag_slug__and] => Array ( ) [post_parent__in] => Array ( ) [post_parent__not_in] => Array ( ) [author__in] => Array ( ) [author__not_in] => Array ( ) [ignore_sticky_posts] => [suppress_filters] => [cache_results] => 1 [update_post_term_cache] => 1 [lazy_load_term_meta] => 1 [update_post_meta_cache] => 1 [posts_per_page] => 10 [nopaging] => [comments_per_page] => 50 [no_found_rows] => [order] => DESC ) [tax_query] => WP_Tax_Query Object ( [queries] => Array ( ) [relation] => AND [table_aliases:protected] => Array ( ) [queried_terms] => Array ( ) [primary_table] => wp_posts [primary_id_column] => ID ) [meta_query] => WP_Meta_Query Object ( [queries] => Array ( ) [relation] => [meta_table] => [meta_id_column] => [primary_table] => [primary_id_column] => [table_aliases:protected] => Array ( ) [clauses:protected] => Array ( ) [has_or_relation:protected] => ) [date_query] => [request] => SELECT SQL_CALC_FOUND_ROWS wp_posts.ID FROM wp_posts JOIN wp_icl_translations t ON wp_posts.ID = t.element_id AND t.element_type = CONCAT('post_', wp_posts.post_type) WHERE 1=1 AND wp_posts.post_type = 'post' AND ((wp_posts.post_status = 'publish')) AND ( ( t.language_code = 'en' AND wp_posts.post_type IN ('post','page','cookielawinfo' ) ) OR wp_posts.post_type NOT IN ('post','page','cookielawinfo' ) ) ORDER BY wp_posts.post_date DESC LIMIT 10, 10 [posts] => Array (  => WP_Post Object ( [ID] => 1164 [post_author] => 2 [post_date] => 2016-08-02 12:34:46 [post_date_gmt] => 2016-08-02 07:04:46 [post_content] => It's 2016; anyone associated with the tech world, or even a non-techie internet user, has (at least) heard of cloud computing. But not all of us may know what it really is, or why everyone's talking about moving to the cloud. What does any of this mean? Let's break it down. Does it do you any good? Oh, definitely! Cloud computing has transformed the IT world with the amazing benefits it offers. It allows you to set up what is essentially a virtual office to give you the flexibility of connecting to your business anywhere, any time. It has reduced IT costs - rather than purchasing expensive systems and equipment for your business, you can use the resources of your cloud computing service provider. Your business can scale up or scale down your operation and storage needs quickly to suit your situation, allowing flexibility as your needs change. Having your data stored in the cloud ensures it is backed up and protected in a secure and safe location. It offers greater collaboration efficiency - if you are working on a project across different locations, you could use cloud computing to give employees, contractors and third parties access to the same files. Access to automatic updates for your IT requirements may be included in your service fee. Depending on your service provider, your system will regularly be updated with the latest technology. Anything that offers so many benefits must have some drawback. And you're right, moving to the cloud is not all smooth sailing. Cloud service providers take care of several clients each day, and hence can become overwhelmed or come up against technical outages. This can lead to your business processes being temporarily suspended. Also, if you are offline, you will not be able to access any of your applications, servers or data from the cloud. Cloud service providers implement the best security standards and industry certifications. However, storing data and important files on external servers could open up risks. Using cloud-powered technologies means you need to provide your service provider with access to important business data. Although cloud service providers promise that the cloud will be flexible to use and integrate, switching cloud services is something that hasn’t yet completely evolved. Organizations may find it difficult to migrate their services from one vendor to another. Hosting and integrating current cloud applications on another platform may cause interoperability and support issues. Since the cloud infrastructure is entirely owned, managed and monitored by the service provider, it transfers minimal control over to the customer. The customer can only control and manage the applications, data and services operated on top of the cloud, not the backend infrastructure itself. Key administrative tasks such as server shell access, updating and firmware management may not be passed to the customer or end user. Most agree that the benefits of cloud computing clearly outweigh the potential shortcomings. Service providers are becoming increasingly more secure and reliable. Businesses of all sizes, across the globe, have moved their operations to the cloud and are better for it. Would you move your business to the cloud, or are you afraid of falling right through? Tell us in the comments! Upgrade your social life any night of the week—if you want to go out, invite friends to join your group, then swipe and match with other groups nearby who are also going out. Message your matches, see where they’re going, make a plan or just find out where people are headed, meet up and have fun. Twilight concert in the park? Find out who will be there before you go. Pub crawl tonight? The more the merrier. Just going out for cocktails? Find out who’s going where and then easily connect once you get there. Just remember—at noon the next day, your group expires, your matches disappear, and your Uber turns into a pumpkin. Users can then see other groups. If a member from both sides "swipes right" to pick the other, members can then make the necessary arrangements via a group chat feature. As a security measure, users may leave a group at any time. Furthermore, the next day, the group chat expires, and individual members need to like each other to stay in contact, assuming they have not already swapped other contact details. For now, Tinder Social is completely free to use. But Rad suggested his firm could make money by adding premium features, which users would need to have a Tinder Plus account to access. Tinder Plus currently costs £3.99 for under-28s and £14.99 for older users, allowing them to look at members they had initially rejected and see people who live in other parts of the world. What do you think of the whole concept here? Is it a big yay or a major nay? Tell us in the comments! You can learn more about Tinder Social here. [post_title] => Not sure what to do this weekend? Tinder Social is here to help! [post_excerpt] => [post_status] => publish [comment_status] => open [ping_status] => open [post_password] => [post_name] => not-sure-what-to-do-this-weekend-tinder-social-is-here-to-help [to_ping] => [pinged] => [post_modified] => 2016-08-02 12:57:01 [post_modified_gmt] => 2016-08-02 07:27:01 [post_content_filtered] => [post_parent] => 0 [guid] => http://kodework.com/?p=1117/?p=1117 [menu_order] => 0 [post_type] => post [post_mime_type] => [comment_count] => 0 [filter] => raw )  => WP_Post Object ( [ID] => 1077 [post_author] => 4 [post_date] => 2016-07-21 16:00:28 [post_date_gmt] => 2016-07-21 10:30:28 [post_content] => Searching for the most efficient and apt app is overwhelming. Here is a list of Android apps that are effective in a specific field. Enjoy! Security is a touchy subject and debates about safety of the Android system occur regularly. If you are on the look out for a good anti-virus app, Mobile Security & Antivirus, then Avast is your answer. It keeps you safe from malware threats and is a superb virus detection software. It searches through your browser history, micro SD cards and internal storage space. In addition, it employs anti-theft features like location tracking which work even if your device isn’t currently in your possession. This one is for those of you who take photographs very seriously, but prefer capturing moments through your smartphone. Manual Camera app allows more control over the phone camera than other apps. The majority of the camera apps are designed to make photography as easy as possible for users. However, this results in not so professional looking pictures. Experienced photographers may feel more at home with this app. It provides a range of settings such as shutter speed, focus, white balance, exposure compensation that most camera apps don’t offer. In addition the app also lets you save images in the lossless RAW format, which offers completely new possibilities for further processing. An excellent app for watching TV shows and movies is the Hulu. A free service app that relies on advertisements for revenue. It has a range of shows available without subscription, you will need to pay a subscription fee to access all content. Apart from ES File Explorer, Solid Explorer has rich-features and is highly accessible due to a crisp Material Design UI. It enables users to navigate two separate folders simultaneously and drag content from one folder to another. Other features include hidden folders, ZIP, RAR archive extraction and customization through icons, colour schemes and themes. There are numerous weather apps available that are more accurate and visibly pleasing than the pre-installed ones on your device. An all time favourite is the Weather Bug app. Totally free, it includes weather forecasts, severe weather alerts, widgets, and live weather. There are a few contenders in the market, such as Facebook Messenger and WhatsApp. Evolve SMS offers more than just messaging, but full multimedia support including audio, video, and gifs along with message archiving, customizable notifications, and password protection. Surprisingly it is not quite heavy as compared to other brands in the market. Some may have had issues with MMS, but otherwise it is perfectly stable. The 7 Minute Workout app is a great app that focuses on a short, but high intensity routine that aids weight loss and improves health. This app does not ask for height or weight, neither does it track your overall progress. Although it lacks in features, it makes up for it in simplicity. All you need to do is, go through the list of exercises and tap the start button. Storing personal data online rather than risking it on fragile hard drives. Copy is a lesser known cloud storage that is worth every dime. Users get 15GB of free cloud storage just for signing up and you can upgrade to 250GB or 1TB as per your needs. May have some bugs for some but overall agreement from the rest. One of the fastest and accurate typing is Fleksy. Many people have adopted this app mainly because it is clever and when you get used to the keyboard, you realise how useful some of the smaller details are. Some of the extensions include the invisible keyboard, make sure you experiment with this app. HERE is Nokia’s own map app. It provides everything you would expect, including turn by turn navigation, search and satellite imagery. The best feature of this app is that it works offline. You can download maps of the entire country and use them the way you would online. If you are a frequent traveller and want to save on data usage this app is indispensible. The only disadvantage is that you have to register to download maps, however it is totally free. [post_title] => 10 apps you may not have come across, but will want! [post_excerpt] => [post_status] => publish [comment_status] => open [ping_status] => open [post_password] => [post_name] => top-10-apps-you-may-have-not-heard-of-but-need-to-have [to_ping] => [pinged] => [post_modified] => 2016-07-21 16:00:28 [post_modified_gmt] => 2016-07-21 10:30:28 [post_content_filtered] => [post_parent] => 0 [guid] => http://kodework.com/?p=1077/?p=1077 [menu_order] => 0 [post_type] => post [post_mime_type] => [comment_count] => 1 [filter] => raw )  => WP_Post Object ( [ID] => 1087 [post_author] => 2 [post_date] => 2016-07-20 13:00:49 [post_date_gmt] => 2016-07-20 07:30:49 [post_content] => Pokémon GO has turned into a global phenomenon. With the world hooked on to this game, there are some brilliant business minds out there that are grabbing this fantastic opportunity to make some extra dough. Yes, that's right. Real people are making real money from Pokéchasers everywhere. Take a quick look at this video. Source: Business Insider We've got taxi services that charge by the hour to take you to Pokéshops and gyms. Real life "trainers" are offering to catch Pokémon on your account, for a fee, of course. We've even got runners offering to jog around town and hatch lazy users' eggs! [caption id="" align="aligncenter" width="579"] Source: Business Insider[/caption] Everyone who's anyone is getting their Pokégame on. And well, why not?! It's one of the coolest things ever, despite all the not-so-little glitches it comes with. You see, several minutes of "Failed to get player information from the server" and "GPS signal not found" don't seem like much bother when the shiny prospect of having your very own, super adorable, Pikachu lies on the table (or in the bushes, or in the middle of the road, or umm on the toilet?!). [caption id="" align="aligncenter" width="387"] Source: Reddit[/caption] Love it or hate it, you simply cannot ignore the amount of people walking around in odd places trying to catch a Pokémon. If you aren't playing this game yet, now is your chance. Pokémon GO is huge, you don't wanna be left behind. Just remember to be alert at all times. They show up when and where you least expect it. Gotta catch 'em all! [caption id="" align="aligncenter" width="797"] Source: Mashable[/caption] What are your thoughts on Pokémon GO? Do you absolutely love it? Do you think it's a safety hazard? Or better yet, do you have any interesting Pokémon-related business ideas? Leave us a comment below! [post_title] => How to make real money with Pokémon GO! [post_excerpt] => [post_status] => publish [comment_status] => open [ping_status] => open [post_password] => [post_name] => how-to-make-money-with-pokemon-go [to_ping] => [pinged] => [post_modified] => 2016-08-02 12:59:41 [post_modified_gmt] => 2016-08-02 07:29:41 [post_content_filtered] => [post_parent] => 0 [guid] => http://kodework.com/?p=1087/?p=1087 [menu_order] => 0 [post_type] => post [post_mime_type] => [comment_count] => 0 [filter] => raw )  => WP_Post Object ( [ID] => 1061 [post_author] => 4 [post_date] => 2016-07-07 12:00:26 [post_date_gmt] => 2016-07-07 06:30:26 [post_content] => Before we get into the underworld of the deep web, let’s quickly navigate through the finer points of The World Wide Web (WWW). WWW is an information space where documents and other web resources are identified by URLs, interlinked by hypertext links, and can be accessed via the Internet. The World Wide Web was invented by English scientist Tim Berners-Lee in 1989. He wrote the first web browser in 1990. The World Wide Web is now commonly known as the Web. The World Wide Web was central to the development of the Information Age and is the primary tool billions of people use to interact on the Internet. Web pages are primarily text documents formatted and annotated with Hypertext Markup Language (HTML). In addition to formatted text, web pages may contain images, video and software components that are rendered in the user's web browser as coherent pages of multimedia content. Embedded hyperlinks permit users to navigate between web pages. Multiple web pages with a common theme, a common domain name, or both, may be called a website. Website content can largely be provided by the publisher or can be interactive where users contribute content. Websites may be mostly informative, primarily for entertainment, or largely for commercial purposes. Everything in this world has two sides, a good and a bad side. It depends on what use is made of it. The same way the internet also has two sides. The good part of the web- The Surface Web and the bad part of the web-The Deep Web. The surface web is that part of the internet which is readily available to the general public and which is searchable through your normal search engines- Google, Yahoo and Bing to name a few. The surface web is made up of static pages. Static pages do not depend on a database for their content. They reside on a server waiting to be retrieved, and are basically html files whose content never changes. Any changes are made directly to the html code and the new version of the page is uploaded to the server. Thus, any reference to Surface Web will be referring to common websites, that is, sites whose domains end in .com, .org, .net, or similar variations, and whose content does not require any special configuration to access. The common example used to differentiate the size of the surface web and the deep web is the picture of an iceberg. The part which can be seen to us on the top is the size of the surface web, whereas the hidden portion of the iceberg is the deep web. This cannot be accessed by your normal web browsers or search engines. So what is the Deep Web? The deep web is that part of the internet which is hidden and cannot be found through normal web browsers or search engines. The Deep Web refers to content hidden behind HTML forms. In order to get to such content, a user has to perform a form submission with valid input values. The name Deep Web arises from the fact that such content was thought to be beyond the reach of search engines. The Deep Web is also believed to be the biggest source of structured data on the Web and hence accessing its contents has been a long standing challenge in the data management community. Public information on the Deep Web is currently 400 to 550 times larger than the commonly defined World Wide Web. The Deep Web contains 7,500 terabytes of information compared to 19 terabytes of information in the surface Web. The Deep Web contains nearly 550 billion individual documents compared to the one billion of the surface Web. The Deep Web is the largest growing category of new information on the Internet. More than half of the deep Web content resides in topic­ specific databases. So how do you access the Deep Web? The Deep web is a scary place, but accessing it is really simple. All you have to do is download the Tor browser. Tor is a free service that lets you connect to web pages anonymously. This makes it extremely difficult for anyone to track your internet activity if you follow the right precautions. Many deep web communities can only be accessed through the Tor network, since they are founded on anonymity, privacy, and secrecy. Web pages on the Tor network tend to be unreliable, often going down for hours, days, or permanently. They can be slow to load as well, since Tor is routing your connection through other people's computers to protect your anonymity. While Tor browsers exist for Android and iOS, these are not secure and not recommended. Similarly, Tor add-ons for other browsers are not secure and are usually not supported by the Tor organization. What goes on in the Deep Web? These are just some of the things you will find on the deep web. [post_title] => Introduction to the Deep Web [post_excerpt] => [post_status] => publish [comment_status] => open [ping_status] => open [post_password] => [post_name] => introduction-to-the-deep-web [to_ping] => [pinged] => [post_modified] => 2016-07-07 12:00:26 [post_modified_gmt] => 2016-07-07 06:30:26 [post_content_filtered] => [post_parent] => 0 [guid] => http://kodework.com/?p=1061/?p=1061 [menu_order] => 0 [post_type] => post [post_mime_type] => [comment_count] => 0 [filter] => raw )  => WP_Post Object ( [ID] => 1055 [post_author] => 2 [post_date] => 2016-07-05 15:29:38 [post_date_gmt] => 2016-07-05 09:59:38 [post_content] => It's been an incredible day for engineers and outer space enthusiasts everywhere. NASA has confirmed that its Juno spacecraft has successfully started orbiting Jupiter, the largest planet in our solar system. "Welcome to Jupiter!" flashed on screens at mission control at NASA's Jet Propulsion Lab in Pasadena, California amidst all the cheering and hugging. "This is phenomenal," said Geoff Yoder, acting administrator for NASA's Science Mission Directorate. "NASA did it again," said Scott Bolton, Juno principal investigator. "We're there, we're in orbit. We conquered Jupiter." Juno was launched nearly five years ago on a mission to study Jupiter's composition and evolution. It's the first spacecraft to orbit Jupiter since Galileo. Galileo was deliberately crashed into Jupiter on September 21, 2003, to protect one of its discoveries -- a possible ocean beneath Jupiter's moon Europa. 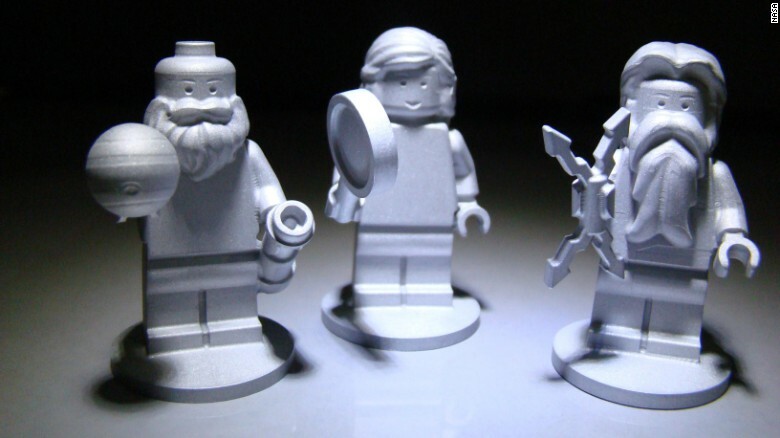 Three Lego figurines are flying aboard Juno. They represent the Roman god Jupiter; his wife, Juno; and Galileo Galilei -- the scientist who discovered Jupiter's four largest moons on January 7, 1610. Adorable, aren't they?! They were included to inspire children to study science and math. NASA has also launched an app which quite literally lets you have Eyes on Juno. The Juno mission ends on February 20, 2018, when Juno is expected to crash into Jupiter. More about Juno here and here. [post_title] => Ladies and gentlemen, NASA has conquered Jupiter. [post_excerpt] => [post_status] => publish [comment_status] => open [ping_status] => open [post_password] => [post_name] => ladies-and-gentlemen-nasa-has-conquered-jupiter [to_ping] => [pinged] => [post_modified] => 2016-08-02 13:01:18 [post_modified_gmt] => 2016-08-02 07:31:18 [post_content_filtered] => [post_parent] => 0 [guid] => http://kodework.com/?p=1055/?p=1055 [menu_order] => 0 [post_type] => post [post_mime_type] => [comment_count] => 0 [filter] => raw )  => WP_Post Object ( [ID] => 1044 [post_author] => 2 [post_date] => 2016-06-28 17:04:13 [post_date_gmt] => 2016-06-28 11:34:13 [post_content] => You know how people often say "If only these walls could talk.."? Well, their prayers just got answered, sort of. We're talking about looking at buildings around you as living, breathing organisms. Walls, ceilings, doorknobs that can observe, and learn from, everything that's happening around them. IBM's Watson has been doing all kinds of awesome stuff around the Internet of Things (IoT), and their latest development speaks of buildings that can think for themselves. Watson IoT for buildings is a complete solution for smart buildings that allows you to capture data from sensors and devices and consolidate that information on a single cloud platform. Using cognitive computing, Watson generates recommendations for you that can be operationalized by your asset and facilities management software. What is a cognitive building? The people and assets in your building create an enormous amount of unstructured data. The challenge is using that information to make informed decisions about how to optimize the experience of building occupants, staff and management. Watson IoT can help you tap new sources of data and apply cognitive capabilities to help you flexibly adapt your space to changing needs. What can IoT do for your building? Your building would essentially have a brain of its own. Instead of nerves, there are myriad sensors deployed in walls, lights, heating and cooling equipment, even the faucet in a sink. Creating a structure’s consciousness is software that ties it all together. But these brains, like any brain really, don’t just blink on and immediately understand how to function in the world. Like any growing person, the “brains” in our roads, office buildings, homes and factories will need to be taught how to think, how to problem solve, how to arrive at smart decisions. Some buildings today are built from the ground up with nearly one IoT-enabled sensor per square foot—monitoring temperature, humidity, how many people are in a room, etc. Managers can then “see” the building on a computer, in what’s known as a “digital twin.” This digital twin will then build a model of the world it inhabits. With a full picture of what’s going on inside their properties, owners don’t rely on guesswork and history to make decisions, but real, actionable data. “Buildings will know the context of how space is being used and predict the kind of load that will be required—is it a Friday when many people work from home, does tomorrow’s weather mean there will be extra heating or cooling required?” says IBM Research’s Dr. Joern Ploennigs. With all the data collected, sensors could alert the building manager when something’s going to break before it goes - imagine the wonderful convenience! A business might have a conference room with an occupancy rate of 95% during working hours. With usage that high, it’s very likely that people are being turned away when they need a room to meet. The conference room may hold 12 people, but the sensors say the average meeting has just three. Cognitive analytics will suggest installing a wall so that the room can serve more employees more efficiently. Watch this video to learn about how IoT will transform the way we live, work and connect. Find out more about IBM's plans for the future of buildings here. [post_title] => Our buildings are talking, it's about time we listened. [post_excerpt] => [post_status] => publish [comment_status] => open [ping_status] => open [post_password] => [post_name] => buildings-talking-time-listened [to_ping] => [pinged] => [post_modified] => 2016-08-02 13:02:25 [post_modified_gmt] => 2016-08-02 07:32:25 [post_content_filtered] => [post_parent] => 0 [guid] => http://kodework.com/?p=1044/?p=1044 [menu_order] => 0 [post_type] => post [post_mime_type] => [comment_count] => 0 [filter] => raw )  => WP_Post Object ( [ID] => 1011 [post_author] => 4 [post_date] => 2016-06-28 10:48:25 [post_date_gmt] => 2016-06-28 05:18:25 [post_content] => With the revolution of technology, IT firms have grown on a global scale over the last 10 years. It is safe to say that the IT industry has been the most influential industry worldwide. Although there may be many firms that would disagree with this statement. We have already seen the growth of IT help desk worldwide with the birth of Cloud and BYOD (Bring Your Own Device). Here is a list of five important help desk trends of 2016 predicted by Richard R. Shapiro, Gregory Ciotti, Gregory Ciotti and Jeanne Bliss, all experts in the field. With the development of internet technology, companies now have to keep track and respond to emails, chats, texts, apps and the list goes on. All companies are looking for efficiency and consumers nowadays are very demanding. The bright side is that IT help desk and other technology are developed to organize data, increase efficiency and be responsiveness. Apple’s Siri and Amazon’s Alexa rely on voice commands. The days where you had to type your query in to a search engine, may be a distant memory in times to come. Clarifying doubts through spoken word is going to be the standard. This trend, coupled with the increasing sophistication of artificial intelligence, will make companies want to invest more in these technologies. This will enable businesses to provide a level of specific services to customers individually. However there are concerns raised about privacy, but Capterra.com believes that eventually consumers will overlook this and just like the smartphone. Wearable technology will turn into a must have. In addition emotions can be detected through biochemical feedback. How a company responds using the data will determine if there is a positive impact on the relationship between the customer and the brand. This is with regard to customer satisfaction. Like tracking your orders and avoiding the hassles and numerous procedures (that would have been required) to locate the package. Technology saves time and enhances the experience. Employing it to make the customer experience easier and faster will become the new norm. Customisable apps for businesses will soon be a trend, as these apps will enable companies to track consumer activities and channel activity with ease. This will also help create awareness among the consumers about the company’s latest offers and incentives. However this adds to the list of tasks for companies which will have to keep the information up-to-date and fresh, incorporating innovative and engaging features to keep savvy customers interested. To conclude this site atlassian.com has taken opinions of the general public in USA, Europe and Asia. The results show that people all over the world are adapting to new technology. Change is inevitable, and many agree that IT help desks are becoming the new norm as they provide convenience,they are timely and cost effective. Source: Capterra.com [post_title] => IT Help Desk Trends [post_excerpt] => [post_status] => publish [comment_status] => open [ping_status] => open [post_password] => [post_name] => it-help-desk-trend [to_ping] => [pinged] => [post_modified] => 2016-06-28 10:48:25 [post_modified_gmt] => 2016-06-28 05:18:25 [post_content_filtered] => [post_parent] => 0 [guid] => http://kodework.com/?p=1011/?p=1011 [menu_order] => 0 [post_type] => post [post_mime_type] => [comment_count] => 0 [filter] => raw )  => WP_Post Object ( [ID] => 989 [post_author] => 2 [post_date] => 2016-06-14 17:04:42 [post_date_gmt] => 2016-06-14 11:34:42 [post_content] => Late last year, Google confirmed the use of RankBrain, the new, and incredibly powerful, AI machine learning algorithm. What a lot of people might not realize, however, is just how fast the SEO industry is changing because of it. So what exactly is RankBrain? RankBrain is a machine learning AI system, which helps Google process search results and provide more relevant search results for users. According to Google, RankBrain is the third most important factor in the ranking algorithm along with links and content. If RankBrain sees a word or phrase it isn’t familiar with, the machine can make a guess as to what words or phrases might have a similar meaning and filter the result accordingly, making it more effective at handling never-before-seen search queries. RankBrain interprets the user searches to find pages that may not have contained the exact words that were used in the user search query. When offline, RankBrain is given batches of past searches and learns by matching search results. Once RankBrain's results are verified by Google's team the system is updated and goes live again. So you see, the system is continuously learning, and gets smarter every time you search for something new. How can I stay ahead of the changing SEO curve? Every time Google’s rankings shift in a big way, data scientists and CTOs claim they “have a reason!”. So they perform regression analysis - go through months of ranking data leading up to the event, and see how the rankings shifted across all websites of different types. They then point to a specific type of website that has been affected (positively or negatively) and conclude with high certainty that Google’s latest algorithmic shift was attributed to a specific type of algorithm (content or backlink, etc.) that these websites shared. However, that isn’t how Google works anymore! Google’s RankBrain, a machine learning or deep learning approach, works very differently. Within Google, there are a number of core algorithms that exist. It is RankBrain’s job to learn what mixture of these algorithms is best applied to each type of search results. This means that, in each search result, Google has a completely different mix of algorithms. You can now see why doing regression analysis over every site, without having the context of the search result that it is in, is supremely flawed. For these reasons, today’s regression analysis must be done by each specific search result. We can then focus on improving that particular part of SEO for sites for those unique search results. But that same approach will not (and cannot) hold for other search results. This is because RankBrain is operating on the search result (or keyword) level. It is literally customizing the algorithms for each search result. Get on Google's "good side"
What Google also realized is that they could teach their new deep learning system, RankBrain, what “good” sites look like, and what “bad” sites look like. Similar to how they weight algorithms differently for each search result, they also realized that each vertical had different examples of “good” and “bad” sites. When RankBrain operates, it is essentially learning what the correct “settings” are for each environment. These settings are completely dependent on the vertical on which it is operating. So, for instance, in the health industry, Google knows that a site like WebMD.com is a reputable site that they would like to have near the top of their searchable index. Anything that looks like the structure of WebMD’s site will be associated with the “good” camp. Similarly, any site that looks like the structure of a known spammy site in the health vertical will be associated with the “bad” camp. But what about sites that have many different categories? A good example of these types of sites are the How-To sites. Sites that typically have many broad categories of information. In these instances, the deep learning process breaks down. Which training data does Google use on these sites? The answer is: It can be seemingly random. It may choose one category or another. For well-known sites, like Wikipedia, Google can opt-out of this classification process altogether, to ensure that the deep learning process doesn’t undercut their existing search experience (aka “too big to fail”). But for lesser-known entities, what will happen? The answer is, “Who knows?”.. So the best piece of advice here is - Stay Niche! For a more detailed explanation on how RankBrain functions, check out this article. If you would like help with SEO for your business, get in touch with our experts today! [post_title] => Think you got SEO all figured out? Think again. [post_excerpt] => [post_status] => publish [comment_status] => open [ping_status] => open [post_password] => [post_name] => think-you-got-seo-all-figured-out-think-again [to_ping] => [pinged] => [post_modified] => 2016-08-02 13:03:44 [post_modified_gmt] => 2016-08-02 07:33:44 [post_content_filtered] => [post_parent] => 0 [guid] => http://kodework.com/?p=989/?p=989 [menu_order] => 0 [post_type] => post [post_mime_type] => [comment_count] => 0 [filter] => raw )  => WP_Post Object ( [ID] => 950 [post_author] => 4 [post_date] => 2016-06-09 18:27:44 [post_date_gmt] => 2016-06-09 12:57:44 [post_content] => What do you do if you’re a leading software company and you are about to have a power shutdown? PANIC!!! On second thoughts, grab a towel and head to the beach? Well we are based in Goa after all (among other global locations)! Here is what we did instead.. Whacky Thursdays Actually it is the perfect time to organize a Team Building event. As the strength of the organization grows by the week, socialization of the new recruits is paramount in order to imbibe the unique culture of our company. The Whacky Thursdays experience served as the perfect ice-breaker. Want to know more about who ended up with egg on their face? Or who took a step closer to promotion? Read on. Your mission should you choose to accept it! Navigate 4 eggs to safety from a 20 metre drop, by creating a parachute! Use state of the art aeronautical technology to construct and pilot a paper airplane that can fly further and stay in the air much longer than the others! List of Ingredients: *Oh yeah, and you couldn’t use your favourite friend - Google! To add to the whackiness of the day, the group was assembled into 4 teams which were named, Beard Bots, Alco Androids, Space Cake and Hot Shorts. This only intensified the camaraderie amongst the coolest geeks in town. To stay cool under the pressure and prevent participants from biting off their own fingers, tasty nachos and ice cold Cola’s done the trick. Amongst all the sweat and tears, emerged the winners. If you want to know who ended up with egg on their face, well it was the pavement outside. Actually out of all the groups only 2 eggs broke, which is further testament to the strength of the group. To know who will be promoted, you will just have to watch this space. Kodework is a leading offshore software company. If you think you have the skills to pay the bills, get in touch. (Warning- Only superstar programmers apply!) Check out more pics & videos on our facebook page! [post_title] => Experience Whacky Thursdays @ Kodework [post_excerpt] => [post_status] => publish [comment_status] => open [ping_status] => open [post_password] => [post_name] => experience-whacky-thursdays-kodework [to_ping] => [pinged] => [post_modified] => 2016-06-09 18:27:44 [post_modified_gmt] => 2016-06-09 12:57:44 [post_content_filtered] => [post_parent] => 0 [guid] => http://kodework.com/?p=950/?p=950 [menu_order] => 0 [post_type] => post [post_mime_type] => [comment_count] => 0 [filter] => raw ) ) [post_count] => 10 [current_post] => -1 [in_the_loop] => [post] => WP_Post Object ( [ID] => 1164 [post_author] => 2 [post_date] => 2016-08-02 12:34:46 [post_date_gmt] => 2016-08-02 07:04:46 [post_content] => It's 2016; anyone associated with the tech world, or even a non-techie internet user, has (at least) heard of cloud computing. But not all of us may know what it really is, or why everyone's talking about moving to the cloud. What does any of this mean? Let's break it down.